Salt and Sanctuary on PSVita Now! These Dead Waters Stir: Salt and Sanctuary Launches March 28th on PSVita! GDC, Postmortem and Salt and Sanctuary in Korean! 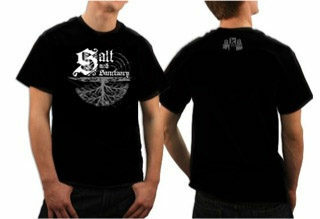 You'll find sanctuary with this salty t-shirt created by Shell! Check out this and others on our store.